The one thing I noticed on our recent trip to Greece is that Greek food is all about fresh, seasonal ingredients. This pasta salad is no exception and is definitely inspired by Greece. I used fresh, seasonal vegetables, orzo pasta, feta cheese, and pesto to give it an extra punch. It’s super tasty, fresh, and very easy to make. I love this salad as a main course for Meatless Mondays (which I’m definitely trying to make part of our weekly routine). 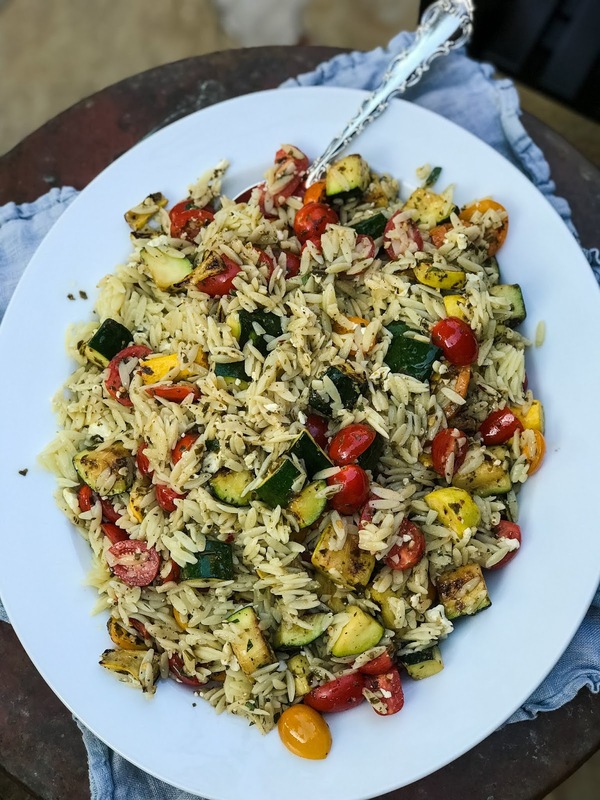 All of the veggies and pasta are so filling that it’s great for an entree, but it would also be perfect alongside some grilled chicken or seafood as a side dish. Toss pieces of zucchini, squash, and eggplant with olive oil, salt, and pepper. Grill pieces on a grill pan until they start to soften (about 5 minutes). Meanwhile, cook the orzo according to package directions. 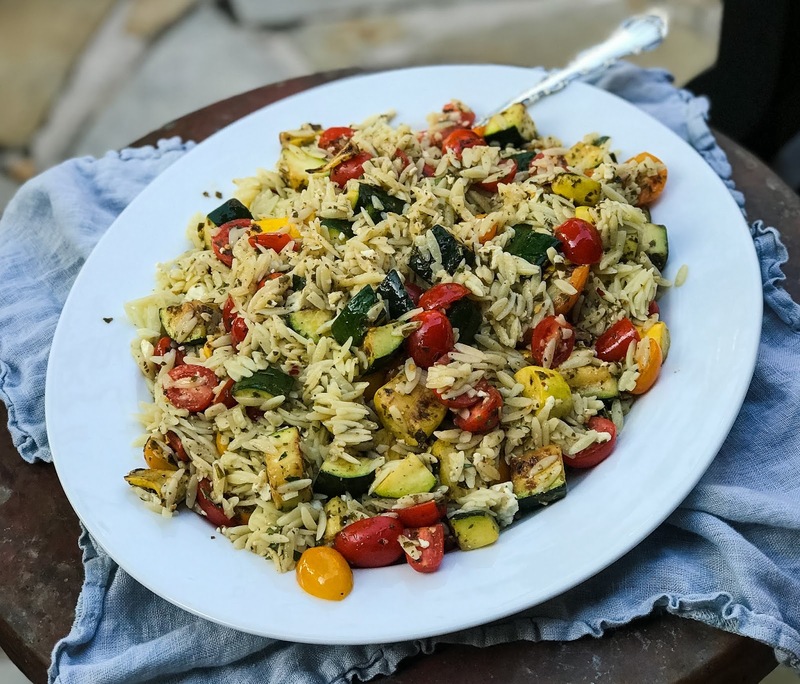 Once the orzo has cooled, add the cherry tomatoes, pesto, cooked vegetables, oregano, and feta cheese. Toss to combine. Season with more salt and pepper to taste.